Ave Maria! 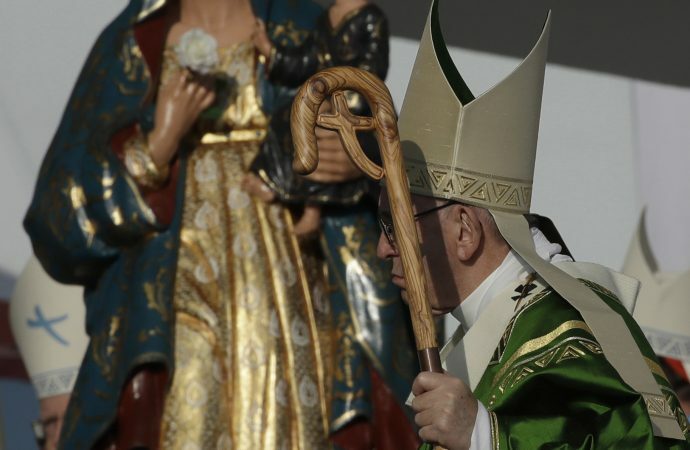 Yet another sign of Pope Francis’ devotion to Mary that is, if anything, growing stronger in these difficult times. ROME – At Sunday’s closing Mass for World Youth Day (WYD) in Panama, it was announced that the next edition of the international festival dubbed the “Catholic Woodstock” will take place in Lisbon, Portugal. While there are undoubtedly multiple reasons, it’s hard not to start with the fact Lisbon is less than an hour’s drive from Fatima – the site of what are, perhaps, the most famous Marian apparitions of all time. The Lisbon gathering, set for 2022, will mark just the second time the event has focused so pointedly on the Virgin Mary. The previous record-holder for most “Marian” gathering was St. John Paul II’s Aug. 10-15, 1991, WYD at the shrine of Jasna Góra in Czestochowa, Poland.